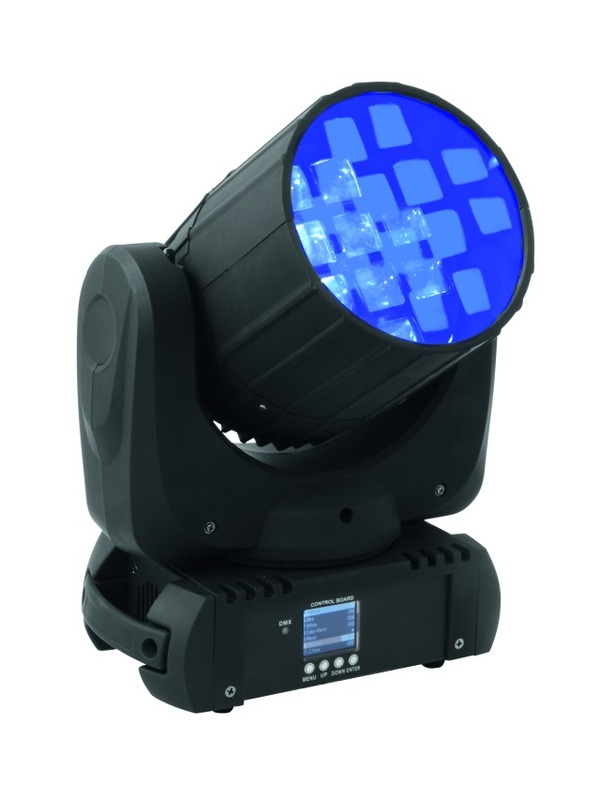 German trade magazine Soundcheck tested the Eurolite TMH-1200 FE for its December issue. The result: The Moving Head’s „flower power“ fully convinced the tester. At the beginning, the magazine stated that the TMH FE-1200 is not a normal Moving Head: „The TMH FE-1200 is a little extraordinary“. This not only refers to the spot’s appearance, which resembles „a piece of black stove pipe“, but above all its generated light: „The beams can be concentrated, so one solid beam is formed. You have a flower effect and a beam spot in one device here“. Testers were also enthusiastic about the light output of the Flower Moving Head: “Everybody who thinks of a weak little spot when hearing Flower Effect, is completely wrong. The TMH FE-1200 shows a proper performance”. The – not-so-common – color mixture of the spot first evoked surprise, then appreciation: “The colors red, green, blue and white are available, but they can not be mixed properly. Depending on the color choice, single beams in these colors are created. (…) But this is no drawback at all, as a very special look is produced, with which beautiful effects can be created”.